I am glad brother D — has more light with regard to full sanctification. This doctrine is the grand depositum which God has lodged with the people called Methodists; and for the sake of propagating this chiefly He appeared to have raised us up. In other words, Wesley believed that there was a particular reason for Methodism. Methodists existed because God had given them a particular corporate calling – to spread the teaching about the possibility of full sanctification. Wesley argued for and preached on entire sanctification, full sanctification, or Christian perfection (these are all synonyms) throughout his ministry. In the essay “The Principles of a Methodist Farther Explained”, which was published in 1746, Wesley argued that “holiness… is religion itself” (Works, 9:227). Forty years later in “Thoughts upon Methodism”, he described Methodism as follows, “Methodism… is only plain scriptural religion, guarded by a few prudential regulations. The essence of it is holiness of heart and life” (Works, 9:529). In one view, it is purity of intention, dedicating all the life to God. It is the giving God all our heart; it is one desire and design ruling all our tempers. It is the devoting, not a part, but all our soul, body, and substance to God. In another view, it is all the mind which was in Christ, enabling us to walk as Christ walked. It is the circumcision of the heart from all filthiness, all inward as well as outward pollution. It is a renewal of the heart in the whole image of God, the full likeness of Him that created it. In yet another, it is the loving God with all our heart, and our neighbour as ourselves (Works, Jackson, 11:444). Proclaiming and defending Christian perfection was one of Wesley’s deep passions, largely because he believed that God had given this teaching to the Methodists in order to spread the good news that we can actually live fully for God in this life. I am a Methodist because I believe, by the grace of God and the power of the resurrection of Jesus Christ, that we can experience complete freedom from sin and death now. I am a Methodist because I believe we have been entrusted with the most audacious, bold, and positive vision for the possibilities of transformation that are available on the other side of Easter. I am a Methodist because I do not believe that the Christian life must be one of futility or frustration, where one does the best they can but is not able to completely give their lives in obedience to Christ. By faith in Jesus, all who are created in the image of God can experience not only the joy of having our sin cancelled, but the deeper joy of experience God break the power of cancelled sin, as Charles Wesley so eloquently put it. May we remember who we are and why the Holy Spirit brought us to life. 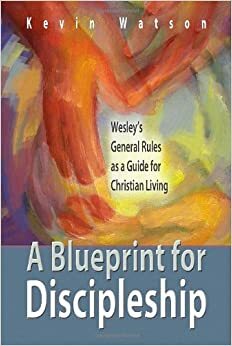 What I find really interesting, though, is how hard Wesley had to work to convince the Methodists, and even his brother, that the doctrine should be given a central place in their teaching. His letter to Charles where he is saying they need to fish or cut bait on the doctrine indicate that our struggle to get people to buy in to it is not new. Thanks John. Two things come to mind off the top of my head. 1) Wesley has often been seen as someone who was very practical and would simply use what worked. I find it particularly interesting, then, when he persists in arguing for something even when there is opposition. 2) The Methodist tradition is indeed not uniform regarding Christian perfection. 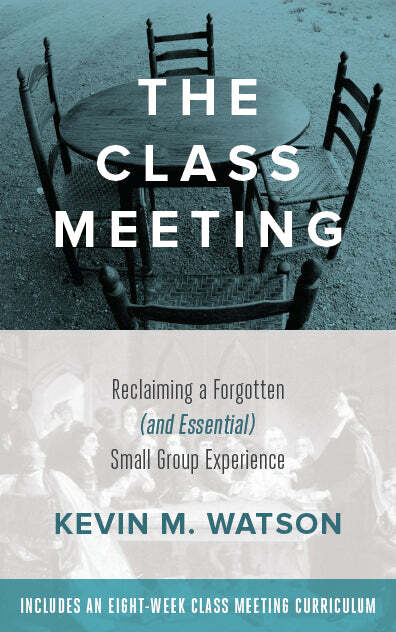 But, throughout Methodist history there have been groups that have seen Christian perfection as an essential part of who they were. In early Methodism there were also multiple examples of Methodists testifying to an experience of entire sanctification. As a pastor in The Wesleyan Church, my concern is that our message of grace is mutating into one single grace message with the rest of evangelicalism. In other words, we are no longer preaching an empowering grace to live victoriously over sin. If that is indeed the case, why spend so much money running and propagating our own denomination? The Southern Baptists are doing a great job of evangelizing the world. If we don’t have something unique to contribute, why not join them? I’m glad we have Wesleyan/Methodist thinkers who do see the distinction and the unique message we have to offer and who do it with grace and charity. As I noted earlier, there are many Methodists whose knowledge of Methodism is limited. I am not trying to be critical but if we do not have an understanding of what it is that we say we are, how can we tell (and show others) what it means to be a Methodist? I did not mean to argue against the doctrine, only to highlight the long tradition of resistance to it. I’m glad J.W. was open to so many different traditions. In this case the gift of theosis from the Eastern Church that the Western Church continues to need without having the language to wrestle constructively with perfection/wholeness/sanctification. Kevin – thanks for the great write up on this excellent topic! I’m looking for a reference from Wesley about the connection of societies flourishing where entire sanctification is preached and declining where it is not preached. Can you help? Thanks brother . . . The answer to Greg West’s question can be found in Rev. D. A. Whedon’s book Entire Sanctification , John Wesley’s view, where Wesley is quoted directly on this point. Pages 14-15.